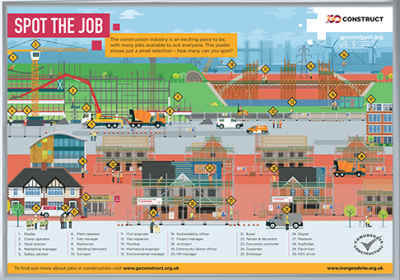 The Considerate Constructors Scheme has developed a ‘Spot the Job’ sign aimed at 8-14 year olds to highlight the range of jobs available within the construction industry. 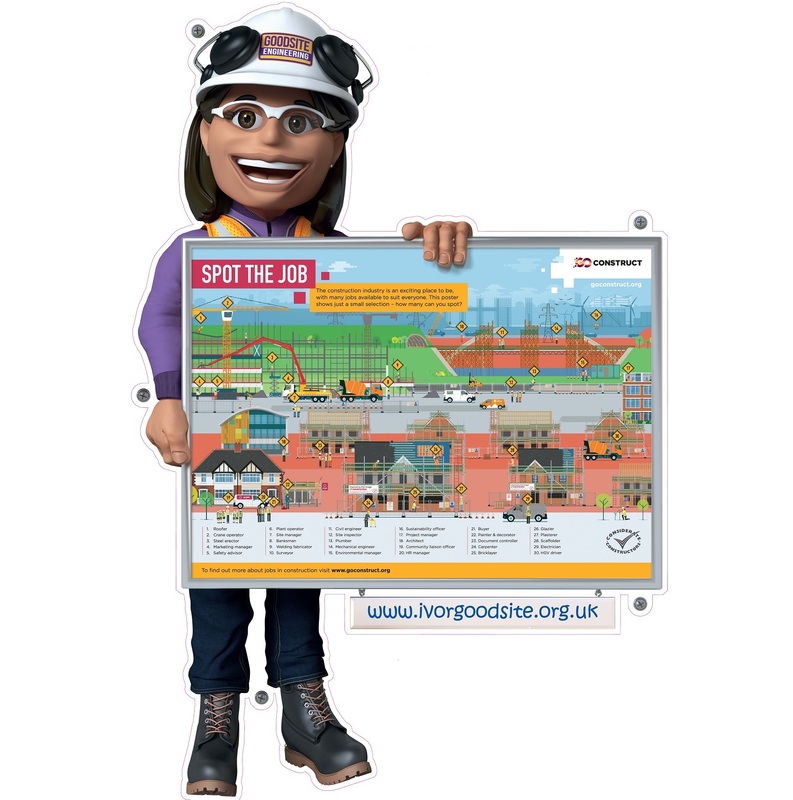 Produced in conjunction with CITB’s Go Construct campaign, the sign shows industry mascot Honor Goodsite, holding a colourful A1 poster which displays a fictional construction site. The sign, measuring 1m x 1.48m, is designed to be displayed on the perimeter of sites registered with the Considerate Constructors Scheme and asks children to spot a wide range of jobs available throughout the construction industry. The sign is designed to be fun and engaging for children but also educational and inspiring for those considering a future career in construction. 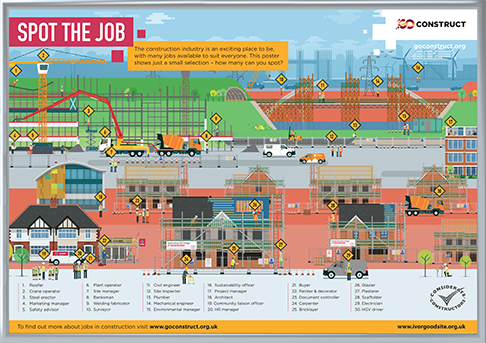 The A1 poster is a portable version of the above ‘Spot the Job!’ site sign and is more suitable to be used for educational visits. To find out more about these products, click below.